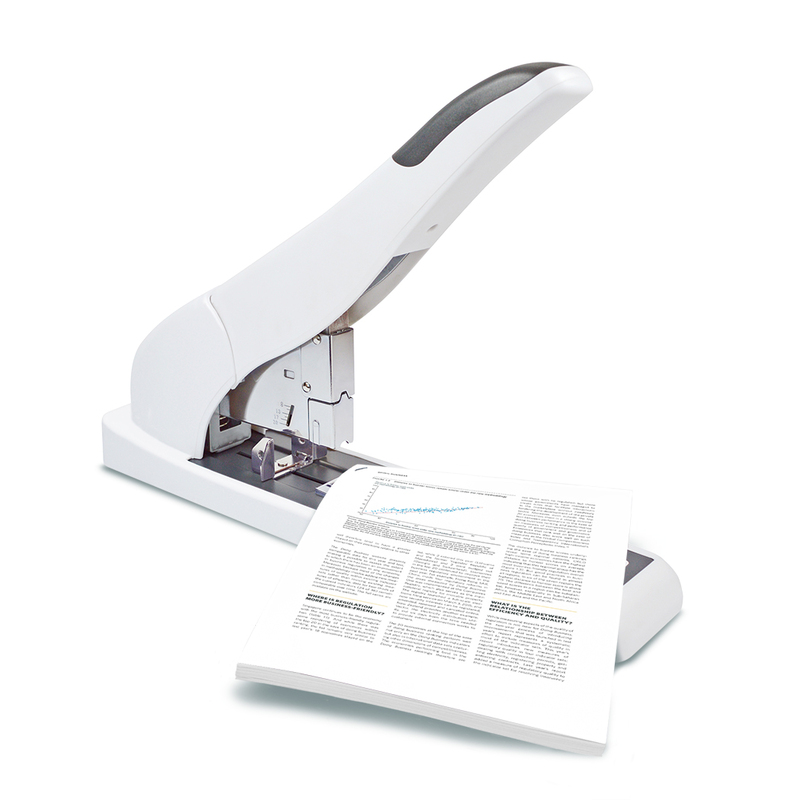 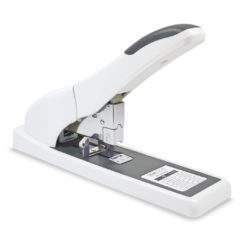 The ECO HD-210 Heavy Duty Stapler takes the effort out of stapling up to 210 sheets (80gsm). 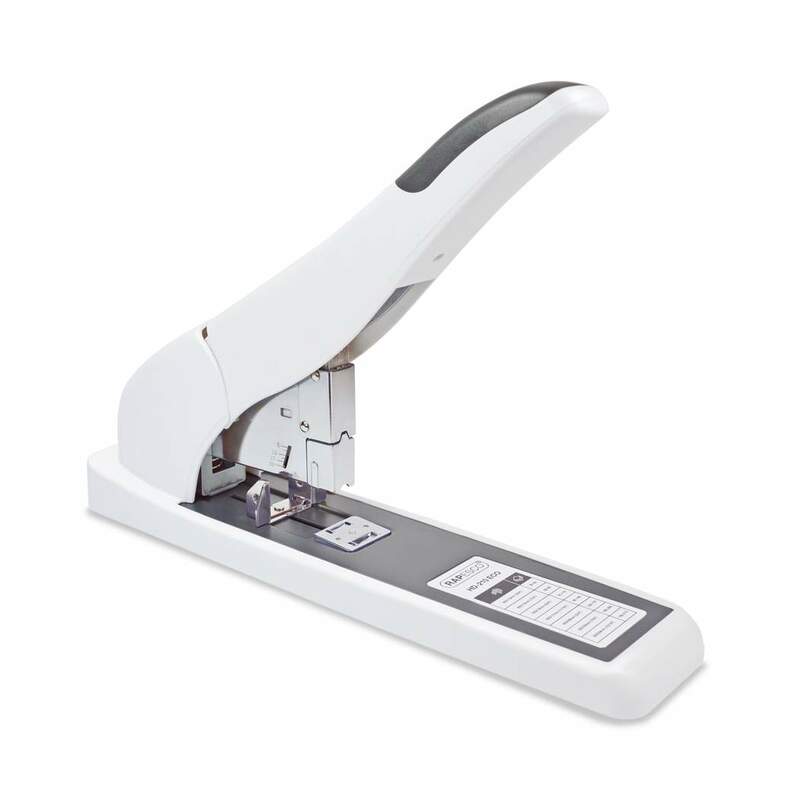 This powerful stapler is finished in an attractive soft white finish and manufactured from a high level of recycled plastic. 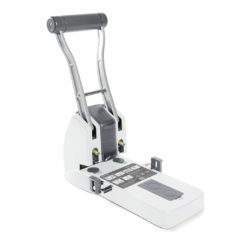 With full strip, push-button front-loading this stapler also features a soft feel rubber handle grip for user comfort and non-slip rubber feet for added desktop stability – particularly useful when stapling larger stacks and has a unique paper guide locking system. 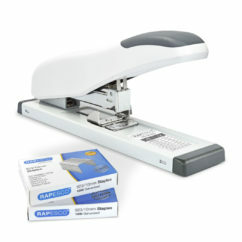 Backed by a 25 year guarantee. 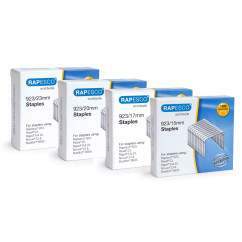 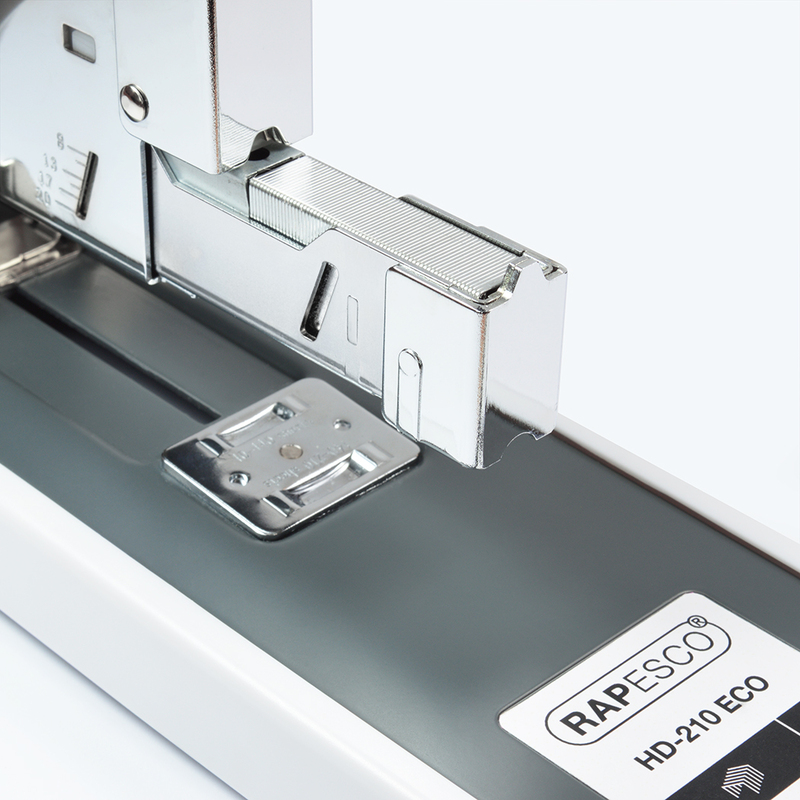 Uses 923/10-24mm Rapesco Staples.